I was born in Denver, Colorado and adopted shortly after birth by my parents, a loving couple in Salt Lake City, Utah where I was raised. I attended public schools and graduated from high school there. I went to the University of Utah and Brigham Young University where I earned a Bachelor's Degree in Political Science. I moved to Phoenix, Arizona to attend graduate school and earned a Master of Public Administration and Public Policy degree from Arizona State University. My experiences bring a diverse skill set for public service. I worked my way through school as a radio and TV personality in Salt Lake City and Phoenix, and left broadcasting after I graduated and went to work for the State of Arizona – first as the Legislative Liaison for the Arizona Corporation Commission, then as the Legislative and Media Liaison for the Arizona Racing Commission. I then went into the private sector to work for the Arizona Credit Union League as their Government Affairs Specialist, and in 1989 I was hired by the Washington Credit Union League in Seattle to be their Vice President of Government and Public Affairs. In 1991 I started my own Public Policy consulting firm, and for 13 years I represented clients all over the Pacific Northwest such as Costco, Comcast, Boeing Employees Credit Union, and the College Success Foundation, before the Washington and Oregon state Legislatures and other government agencies. 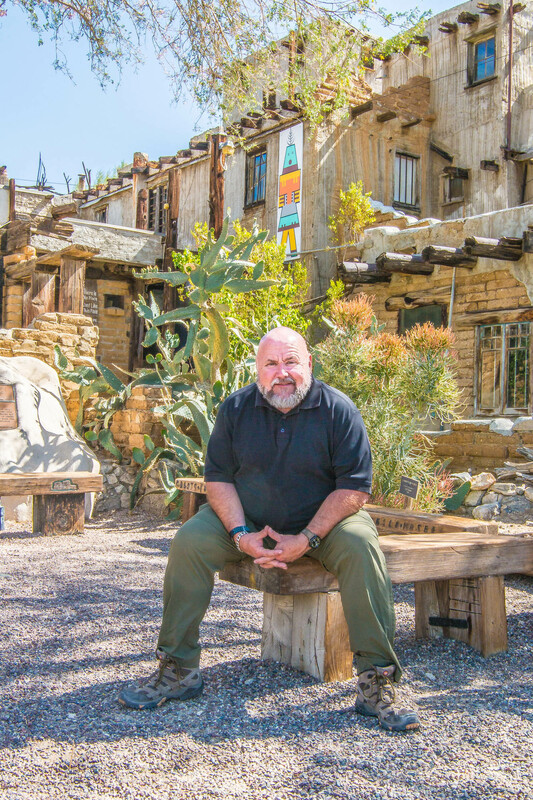 After 37 years as a public policy advocate, I decided to retire and focus on more creative endeavors and began wintering here in the desert while working on a book of my adventures traveling the backroads of the country on my beloved Harley-Davidson motorcycle named Angus. Angus and I have been in all of the lower 48 states and ridden coast to coast and border to border several times. I’m also selling my art photography from those trips in galleries and stores across the US. Then, I found my way to my home, Desert Hot Springs. In 2016 I decided to move to the desert permanently, becoming a full-time resident of Desert Hot Springs, selling my home in Seattle and settling in this city. This town has had its issues for sure, but the potential of this town is limitless. I want to help our city improve, grow, and prosper. I became involved in local affairs, first working on the Measure B&C tax campaign to keep our police fully funded. The Mayor then asked me to put together and chair his Committee on Human Rights, working to make sure everyone in town feels safe and free from discrimination. Then Councilwoman Yvonne Parks asked me to serve as her appointment to the Planning Commission, helping chart the growth of Desert Hot Springs. And then Courtney Moe and Pastor Kephyan Shepard invited me to work with them and other community leaders on strategies to help change the image and perception of Desert Hot Springs, and out of that came “Advance DHS”, an association which is just getting started with its mission of making sure what is good about Desert Hot Springs becomes the focus and driver of people’s perception about our city, not what is bad about it. 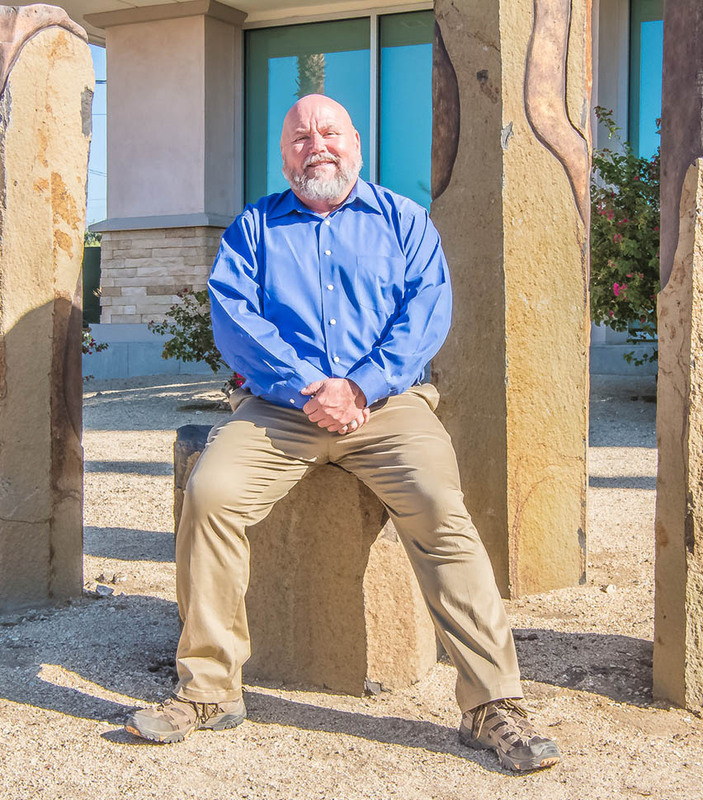 After I retired I could have moved just about anywhere I wanted to and I CHOSE Desert Hot Springs – probably for the same reason most of you have. The small-town feel, these expansive views of our gorgeous desert, our award-winning water, the hot spring spas, the charming history, and the friendly people. As I’ve gotten to know my fellow residents, I’ve come to love this town even more. We look out for one another here in DHS. 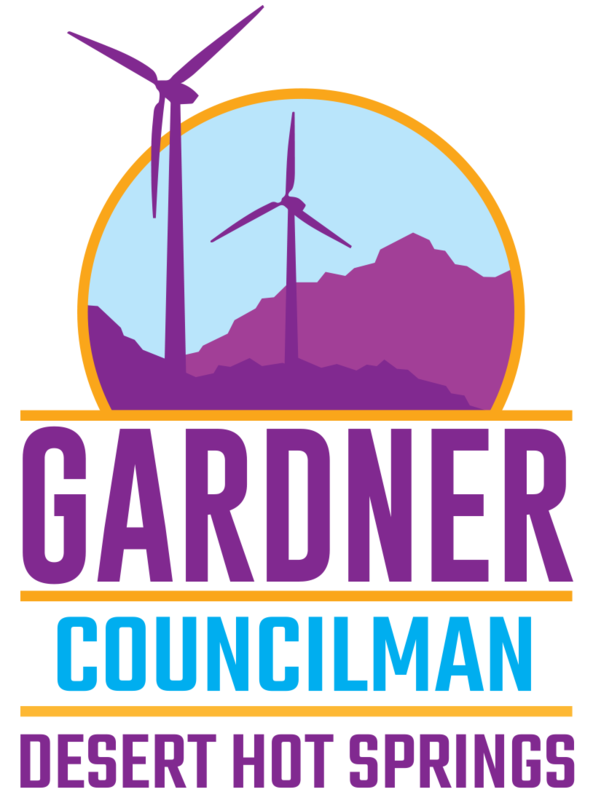 Running for City Council was something I’d considered, and with the retirement of two council members, and being asked by a number of long-time well-respected leaders in the community, including Larry Buchanan and Court Moe, I decided to enter the race. I grew up camping and hiking all over the west, my parents taught me to respect and love the outdoors and nature, and I love the trails in our hills above Desert Hot Springs, and you’ll often find me up there exploring my desert home. I belong to the Desert Hot Springs Historical Society, and the Desert Hot Springs Rotary Club. I love learning about our history and doing what I can to improve our town. In November of 2018, I was elected to serve as your city councilmember, and I was sworn in on December 12th, 2019. I encourage you to share your ideas and concerns with me to work together to make this city the best place to live in California.